Mom life: we’re surrounded with the message that it’s the tired life, the no-time-for-myself life, the HARD life. And while it is hard and full of lots of servitude, the idea that motherhood means a joy-less life is something I’m passionate about putting a stop to. I’m on a mission to help you stop counting down the minutes till bedtime (at least most days). I want you to stop cleaning up after your kids’ childhood, and start being present for it - start enjoying it. I believe in John 10:10, that we are called to abundant life, and I know mothers are NOT excluded from that promise. Join me in conversations about simplicity, minimalism, and lots of other good stuff that leads to a life of less for the sake of enjoying more in motherhood. 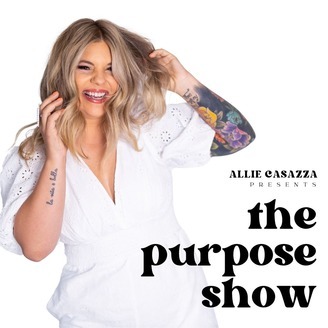 I’m Allie Casazza, and this is The Purpose Show.